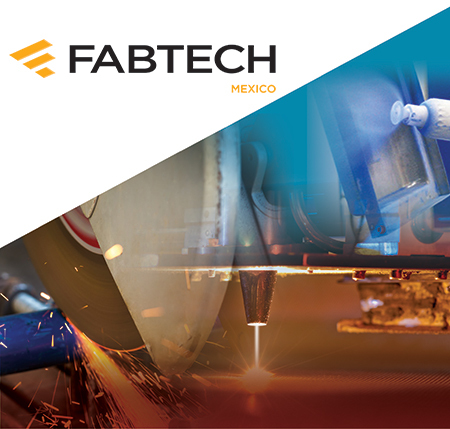 METALFORM and Machining Mexico returns to Mexico City May 2-4, co-located at Centro Banamex with FABTECH Mexico, AWS Weldmex and COATech. The combined event serves as a primary gathering for leading metal manufacturers in Mexico and across Central and South America. After a successful 2017 edition in Monterrey, the show is expected to rival 2016’s Mexico City record breaker, where more than 12,000 attendees surveyed the wares of 550 exhibitors spanning nearly 150,000 sq. ft. of space. WHEN: Wednesday, May 2, 1-8 p.m.
Thursday, May 3, 1-8 p.m.
Friday, May 4, 1-8 p.m. Precision Metalforming Association’s (PMA’s) METALFORM and Machining Mexico highlights metalforming and tool-and-die technology, making it an ideal complement to FABTECH Mexico’s fabricating and tube-and-pipe offerings, AWS Weldmex’ welding technology and COATech’s emphasis on finishing. Attendees will find plenty of opportunities to network, learn and experience first-hand the latest innovations in forming, fabricating, welding and finishing. The event will feature education beyond the show floor, providing participants with opportunities to gain technical knowledge, discover best practices and learn from relevant case studies. Led by sponsoring exhibiting companies and top industry professionals, the comprehensive education program, free to show attendees, covers topics such as automation, cutting, finishing, forming and fabricating, laser technology, lean management, software, stamping and welding. The sessions, each averaging 25 min., will be held throughout the three-day show.